I'm guilty of a blogging no-no this week. That is, I finished this entire little baby quilt without taking a single process photo, or even mentioning it in a post at all. I didn't mean for it to happen that way; it's just that after finishing my huge Interference quilt, I was ready to work on something small, and I jumped right into this one. It went together so quickly, I didn't even think about the fact that I had not shared it until I was already halfway through the quilting. Oops! My aunt is hosting a shower for a friend's daughter, and the nursery is decorated with a nautical theme. My aunt asked for a quilt that had the soothing colors of the sea, with a few nautical fabrics thrown in; but she did not want a quilt that was overly themed- which was totally fine with me. I'm just not a theme-quilt person (with a few exceptions). I prefer to make baby quilts that will grow with the child and be useful for many years, rather than quilts that are so babyish and kitschy that they may not get used after a year or two. 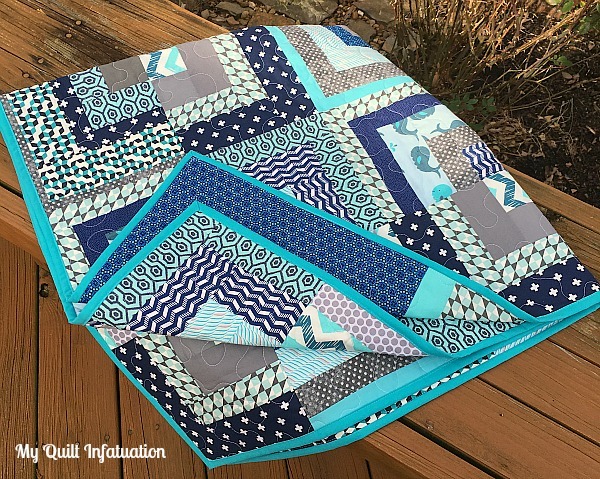 The only overtly nautical fabric in the quilt is the little whale print. The whales really are adorable, and add the perfect touch of whimsy. There is also a tiny, very soft blue and gray print that looks a little like waves (top middle-ish), one of the navy prints gives the impression of a chain or a fishing net (on the right side of the backing), and a darker tonal blue that looks like bubbles (top left corner). Even the two chevron fabrics look like a choppy sea. I chose a very modern pattern to give a little bit of balance to the cutesy. I made quarter log cabin blocks, and varied the width of the strips, so the asymmetry would add a lot of cool movement. 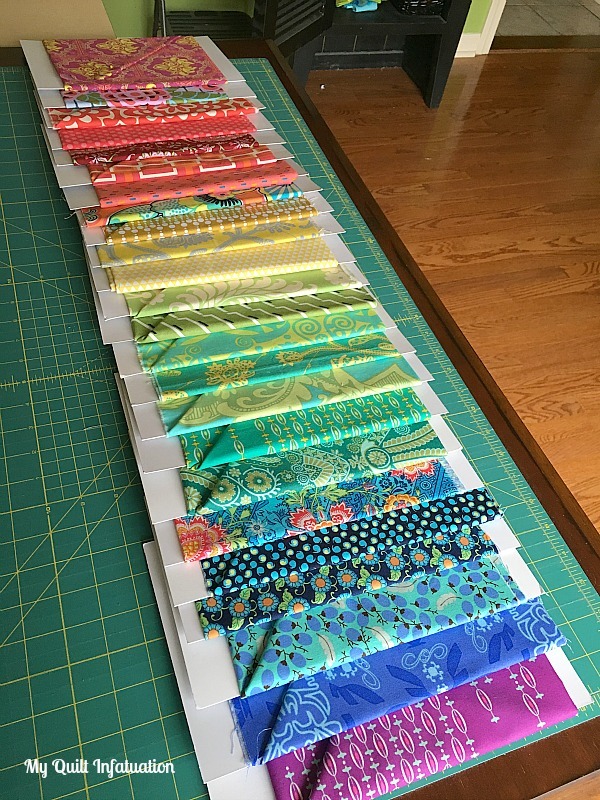 Aside from the whale print, I would use any one of these fabrics in a non-themed quilt (and I have used several of them in the past). 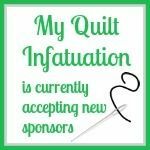 So, even though I didn't fill the quilt with lots of novelty fabrics, I was intentional in choosing fabrics that were not only the right colors, but would add to the overall feel I was trying to achieve, and together, I think they really get the job done. 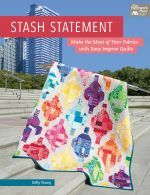 I know that some quilters love using novelty fabrics, and I have definitely seen some super adorable quilts made with them. A themed quilt that is a bit more subtle fits my personal style a little better though, and I'm so pleased with the way it turned out. I'm not going to make the same mistake twice, so before we party, here's a peek at the bundle that I'm about to cut into. These fabrics are so delectable, and I am SO excited about the quilt I'm making next! 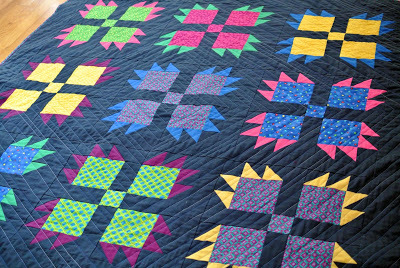 This bright bear paw quilt from Empress Charlotte looks awesome against that dark background! 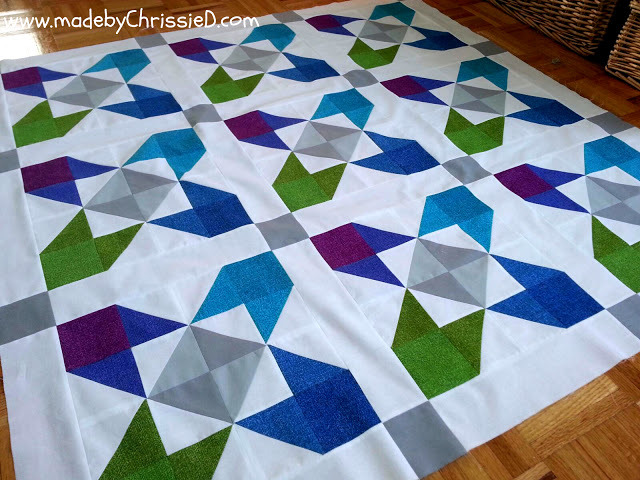 and this On the Bright Side quilt is from Made by Chrissie D, and it is so much fun! 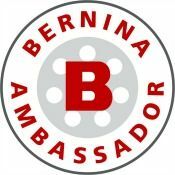 I've noticed that there have been several new friends sharing at NTT lately, and I am so thrilled to welcome you to the party! I love the balance you created between cute and bold. It's just lovely! That next quilt... swoon!! Not sure what this says about me, but I could totally have those cute whales on a quilt for me. In a measured, subtle sort of way for sure, but knowing they were there would be fun. I expect your quilt will be well loved for years to come. Thanks for featuring my bear paw quilt! I'm so happy to finally remove it from my UFO list. A great quilt for a little one. The blues are beautiful and it does hit the right note between being good for a baby, but being toddler friendly too. Adorable quilt! It's ok about the in progress pictures - it happens! I love love love your quilt. So awesome. 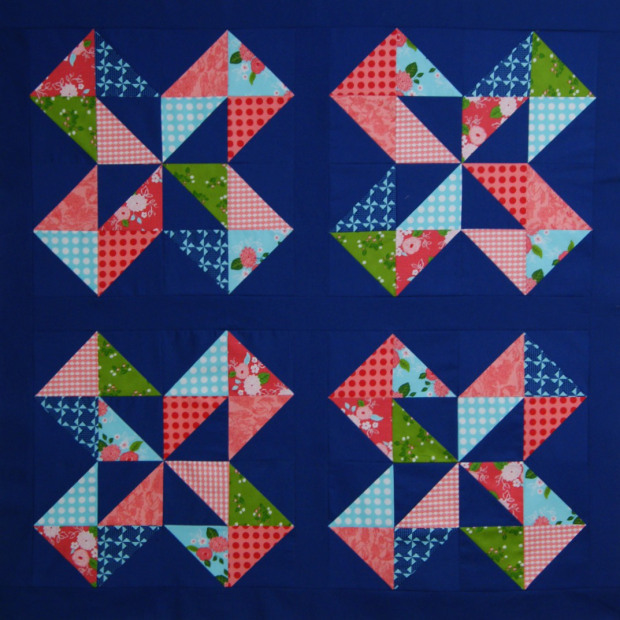 Especially that block, and that pieced backing! Just perfect!! 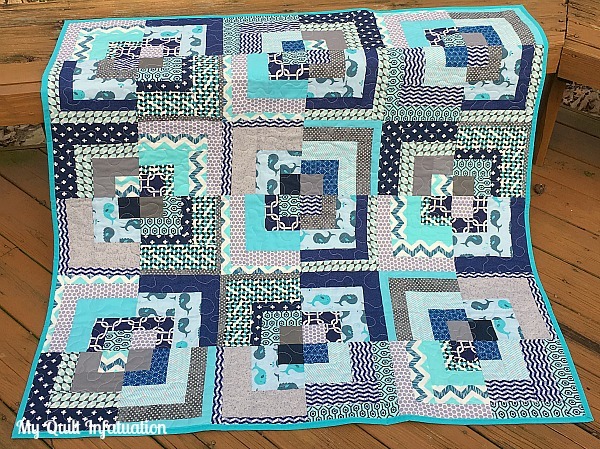 I never would have thought a nautical themed quilt could be so gorgeous. 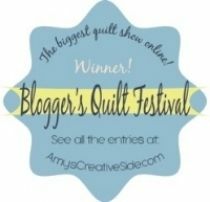 Also,want to say that your postings are wonderful, but the blog should always come second to the quilting, so making a whole quilt without process pics because you were so into seems to me to be wonderful. Another lovely quilt! Ooh la la - can't wait to see the next one, as the fabric pull is spectacular! Lovely baby quilt! It certainly says "ocean" but in such a sophisticated way. The fabrics you've pulled for your next project are swoon-worthy! Can't wait to see what you do with them. What a lovely baby quilt. You always show up so bright and beautiful things in your blog posts. I love it. And your fabrics are awesome. I would have had problems with the first cut. 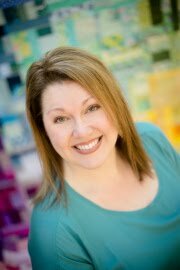 I'm a big Amy Butler fan myself and have been stockpiling her fabrics as I've seen them on sale and money has allowed. I'm very drawn to the blues/greens and most of my stash reflects it. I'm anxious to see what you do with your bundle of AB goodness! :) Can't wait! Love the baby quilt Kelly. That pattern is such a good for many different fabrics. I've wanting to do the same design for awhile now. Even have a color scheme in mind. I also have a fabric pull of mostly Amy Butler prints that isn't unlike yours. Mine just doesn't include the purple and only a hint of yellow at the moment. Don't know when I'll get that one started. Soon I hope. This is gorgeous Kelly! I love your design and colors! 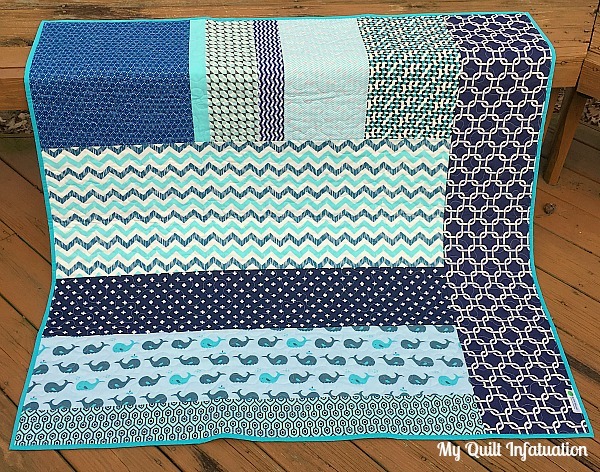 The nautical baby quilt is so cute! What a great mix of colors and textures! Oh, and that new fabric pull is beautiful! I think that this is a very modern and sophisticated approach to a nautical baby quilt. I buy themed prints for clients, but always struggle with what the heck to do with the bits of left over fabric in the end. Lovely! I think it's perfect for a nautical theme--very cute and fun! 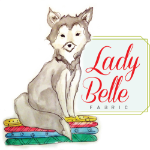 I can't wait to see what you come up with using those beautiful fabrics! 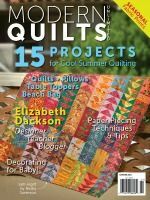 I agree that quilts that can grow with the child are better than overtly 'baby' quilts, and this one certainly fits the bill! I absolutely love the colours, and the bit of cute from the whales. Thanks for linking with TGIFF! Wow, the colors in that quilt are just stunning. I really love this one. I'm all for a themed baby quilt since they can grow with the child and not seem baby-ish. Beautiful quilt! Those colors are beautiful, and the whale fabric is adorable. You know it's okay to not document every step of every project, right?! 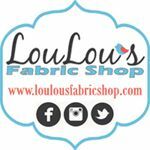 Don't let your blogging get in the way of when you just need to sew. 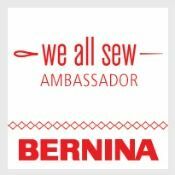 :) especially when one is as prolific a quilter as you are! Really cute baby quilt.